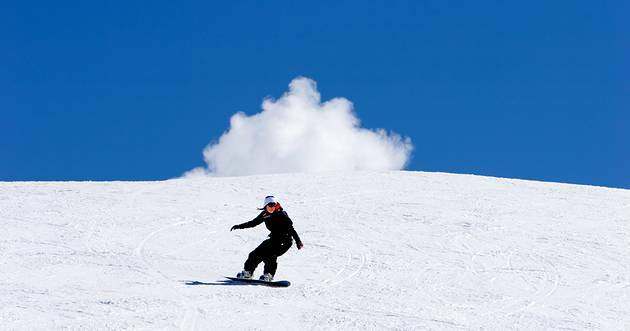 Unlike the French, Germans, Italians and Americans who stick to their local resorts, we Brits have to travel to get our ski season – which means we can explore varied ski resorts across the world. So go out and find somewhere different to ski this year! 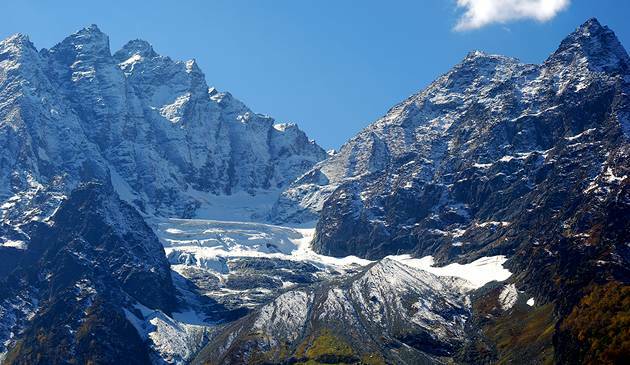 We’ve come up with five very unusual ski suggestions, and if you need any help finding ski deals to new destinations try our ski search for inspiration. Holidays in India may not usually inspire thoughts of snow and cold, but then again that’s why skiing in the Himalayas is thought of as the final frontier in skiing. We’ve found this package with Indus Tours – Yasin Zargar has long had a reputation for innovative and well thought through itineraries travelling around India. This one, however, does take it to another level. Ski with the Kashmir Powdercats in Gulmarg, located on a mountain shelf overlooking the Vale of Kashmir – it’s definitely one for the experienced skiers. 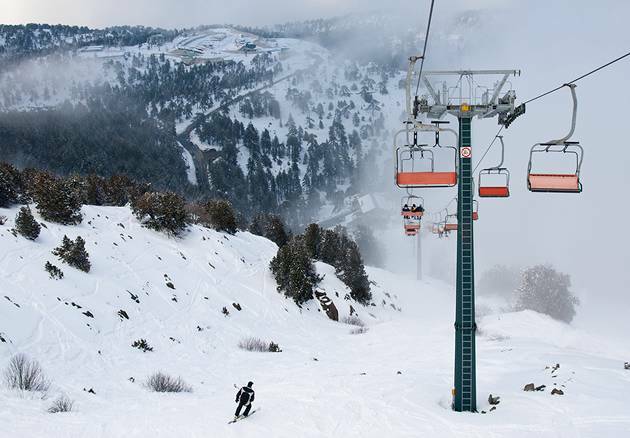 Whilst Cyprus is better known as a sunshine destination, in the winter there’s also skiing on offer high up in the mountains, away from the traditional beach resort of Paphos. With only 4 lifts and 8 runs, this is not a destination to head for a week’s skiing, but as a day excursion with a difference it is one to consider. The common option for those looking to combine a ski holiday with a little casino action would be to head to South Lake Tahoe. 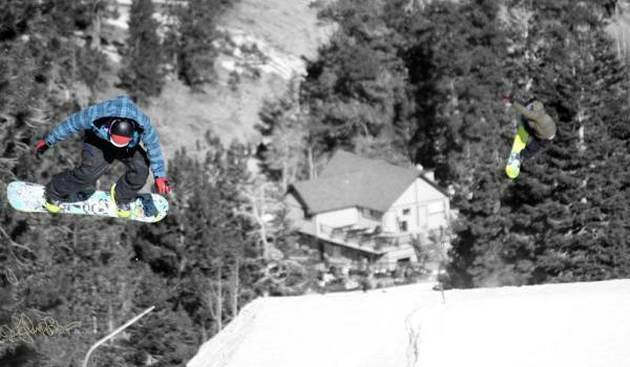 However, 30 miles from downtown Las Vegas, you’ll find the Las Vegas Ski & Snowboard resort. This ever expanding ski resort offers you a day’s respite from the glamour and clamour of the Las Vegas Strip. Malaga airport is better known for TOWIE girls heading off to Marbella for topping up their tans. However, just over 2 hours away, in the Sierra Nevada mountains is a ski resort to compete with those in Austria and France. With a good range of quality accommodation and modern ski lifts, it’s a viable alternative to your traditional seven days in the Alps. If you’re a first time skier looking for somewhere to learn away from the more traditional resorts, give Slovenia a try. 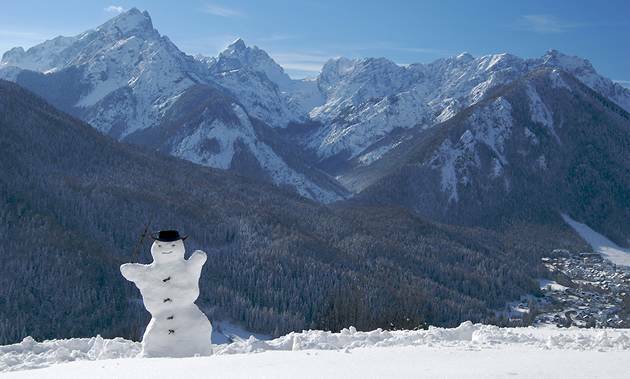 Iglu Ski are offering holidays to the value for money resort of Kranjska Gora is nestled in the Julian Alps. Many operators bill it as a “beginner” resort but the ski area does boast one world cup run if you want to challenge yourself.